Thoroughly enjoyed creating this beauty. 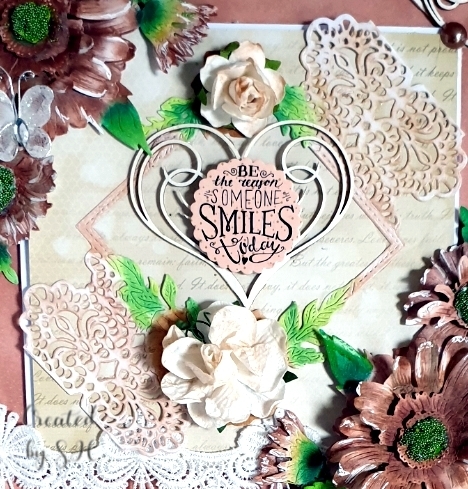 Cardstock is from hunkydory which I used distress inks to ink around the edges. 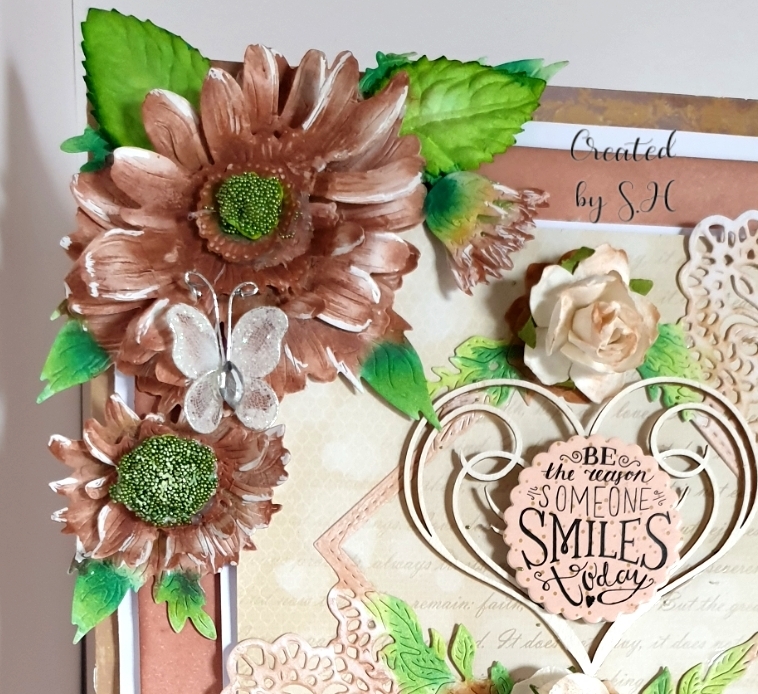 Dies are from tattered lace called antique lace and 3d decoupage daisy die from heavenly blooms collection. Unfortunately I have no charisma or CD to use so painted them with distress inks and water . 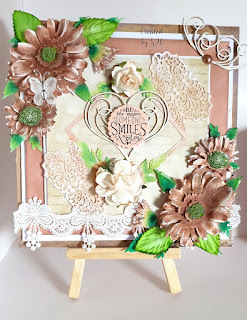 I used microbeads from The Craft Box company and white gel pen for highlights. The rest are all bits and bobs from my crafty stash.